The 11th album from Jay Chou, playing on 1s and exclamation marks, the album was released on the special date of 11/11/11 and has 11 songs. In this album Jay Chou presents a variety of music styles, everything from rap to opera, giving each style his own unique twist. Jay Chou's long awaited 10th album that coincides with his 10th year in the music business. A celebration of the incredible music this amazing artist has produced over the last decade. In this album he tries some new styles bringing a completely fresh and new side that listeners have not heard before. Jay Chou's ninth studio album, for the first time ever Jay Chou combines his interest in magic with his beloved music, the result is a fantastic album. With the theme of magic, cards figure significantly in the design of the album, from the first promotional poster to inspiration behind songs. Jay Chou wants to tell you the story of the battle between the Magician and the Joker. The title of the album in Chinese cleverly combines the three meanings - magic, Jay's name and the star sign Capricorn. All three are closely tied to Jay Chou himself. Magic is not the only theme of the album, the cover of the album, which took a month to complete, is based on a fantasy setting that is described in track 1. Temporary placeholder for kung fu dunk ost. Jay Chou's eighth album, this album marks a significant change in style for Jay Chou. For the first time he experiments with country music, using it in his title track "Cowboy Is Very Busy". However he still persists with his own style for the rest of the album. This album more than any other reflects Jay Chou's life. The OST for the movie "Secret" that he directed, 21 songs composed by Jay Chou and famous Thai musician Terdsak Janpan. As the title suggests this is an EP for the big movie "Curse Of The Golden Flower" which stars Jay. The EP only contains two songs, the main theme song for the movie and also the piano version of the ending song. Also included is a DVD with 11 MVs from the last album and also the MV for the new song. The seventh album from Jay Chou, this album is named to after his most famous album Fantasy and represents Jay's insistence of not changing his style and that his music is still very much Fantasy. The album sees Jay collaborating with the famous Taiwanese singer Fei Yu Ching in track 3. The lyrics by Vincent Fang are as wonderful as ever with creative entries such as Track 4 which is based on Chinese medicine. Jay also experiments with some new styles which can be found in track 9 and 10. Jay once again composes all the tracks for the album with his best partner Vincent Fang writing a majority of the lyrics. This EP coincides with the movie Huo Yuan Chia (Fearless) starring Jet Li, the EP features the theme song as well as the live cover version of Waste Of Space which Jay wrote for Jordan Chan. Accompanying the EP is all the music videos for the tracks in November's Chopin as well as the music video for track 1. The theme song follows Jay's style of mixing Chinese music, Chinese martial arts and western music. The sixth album from Jay Chou, the title of the album is named after Chopin who Jay admires greatly and also to the fact that the album was released in November, which is later than his usual release date. The influence of Chopin is clearly seen in the title track Nocturnes which is named after Chopin's famous piece of work. The lyrics describe the loss of a lover. Track 5 sees Jay poking fun at the paparazzi. The album features the regular lyricists Vincent Fang, Devon Song and Huang Jun Lang. Jay composes all the songs by himself again. Jay Chou's first step into the Japanese market, with the title inspired by Initial D which had a movie starring Jay. The album consists of a selection of hits from all his albums. It also contains the theme song for the movie Initial D.
Incomparable is Jay's tour concert in 2004! The album features a massive 25 tracks consisting of famous songs from all his albums. Jay also performs cover versions of popular songs such as Zhang Zhen Yue's Love Me Then Don't Leave, Nan Quan Mama's Disintegrate which Jay wrote and Jolin Choi's Rewind which he also wrote. The fifth album from Jay Chou, this is named after a flower and is also the title of track 2. This album sees the introduction of new lyricists Huang Jun Lang (track 5) and Devon Song (track 6), the album still features Vincent Fang and Will Liu. As usual Jay composes all the tracks on the album. The music video for track 2 was filmed in Japan and track 10 was filmed in Russia. This EP coincides with Jay's debut guest appearance on the silver screen in the movie also titled Hidden Track. Track 1 is the theme song for this movie and track 2 is an interlude. Not only does the EP come with the two tracks, it also comes with the karaoke versions of the two songs as well as all the music videos from Jay's previous album Ye Hui Mei. The strange letters vmp6513 5. ru,6xjp are the letters typed in to get the Chinese words for the title. Ye Hui Mei is the fourth album from Jay Chou and is named after his mother. The first track opens the album with a creative mix of rap, opera and the mafia. The album sees the return of Vivian Hsu with track 9. The album includes the music videos for track 1 which was shot in Rome and also track 11 which was shot in America. The music video for track 7 also features the famous basketball player Yao Ming and Jay loses his first onscreen kiss in the music video for track 3. The One is Jay Chou's massive tour concert and this album is the recording from the first stop Taipei in Taiwan. The concert features 20 hit tracks from Jay's albums as well as live cover versions of Jolin Tsai's How Can You Not Even Speak Clearly? which Jay wrote and David Tao's Search For Myself. Not featured on this album is the song David Tao and Jay performed together in the concert. The third album from Jay Chou, this album promises to take you to the eight dimensions. As usual all the tracks are composed by Jay, the lyrics are written mainly by his best partner Vincent Fang with contributions from his friend Will Liu and also Xu Shi Chang who won a contest to have his lyrics used. The album features the now famous r&b style combined with the creative lyrics. The album comes with a long movie version of the music video for The Final Battle as well as a video diary accounting the filming. Partners is a compilation album of many songs written by the golden partnership of Jay Chou and Vincent Fang. The album features many songs by a variety of different artists from Coco Lee to Leo Ku. This EP signals Jay's entry into the international market, consisting of the two hit songs from Fantasy. The EP also includes the music videos for both songs and a translation of the lyrics for Nun-Chuks is also provided. Fantasy Plus is an EP consisting of three live tracks from Jay Chou's Fantasy Show concert. The three tracks are songs he wrote for other artists. Track 1 was written for Valen Hsu, 2 was for Jacky Wu and 3 was for SBDW. The EP also includes the music videos for every song on Fantasy and Fantasy Plus. 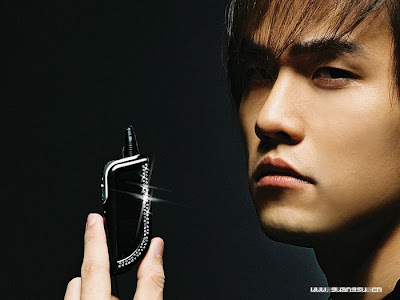 The second album from Jay Chou, this is considered by many to be the album that propelled Jay into stardom. Once again featuring lyrics from his two partners Vincent Fang and Vivian Hsu. Fantasy lives up to its name with songs centered around strange and wonderful themes. Jay again composes all the songs in the album. 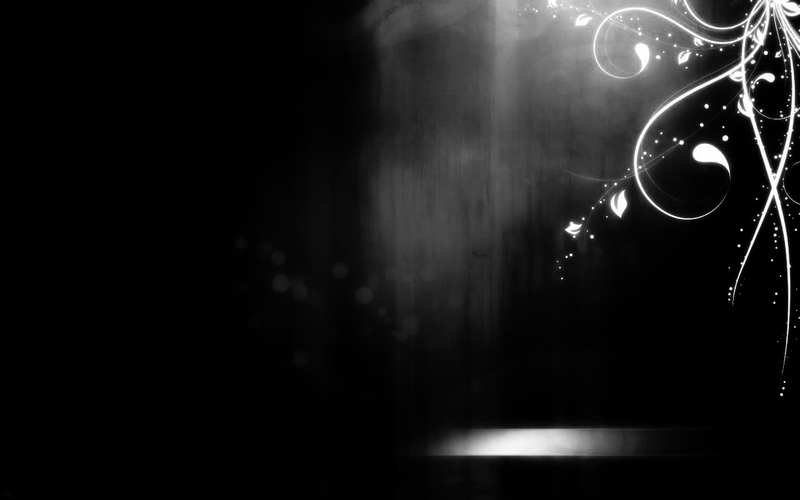 The first track is very famous for its originality in describing love through time. Track 2 also garners praise with its lyrics on a sensitive subject as well as being sung partially in Taiwanese. Nun-Chuks is the track that has brought Jay the most fame with its combination of Chinese music and hip hop. Jay Album is the groundbreaking debut album from the talented writer Jay Chou. Featuring a fresh r&b style and wonderful lyrics from Vincent Fang, Vivian Hsu and Jay himself. All the tracks on the album are composed by Jay. The first track Lovable Woman features the lovely Vivian Hsu in the music video. Every track has a music video except for track 8, although there is a KTV which was not made by Jay.